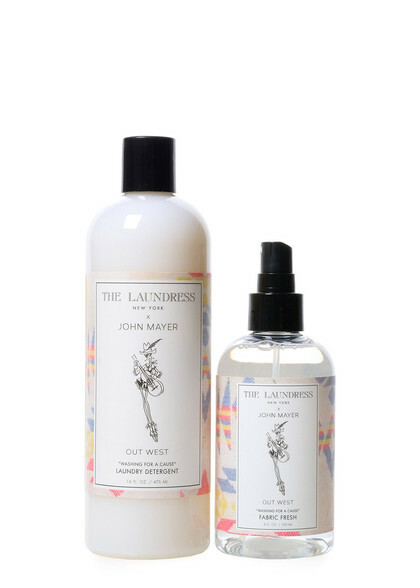 The Laundress X John Mayer Laundry Detergent and Fabric Fresh Duo, Jose Cuervo Reserva, and a little orange liqueur and lime juice. 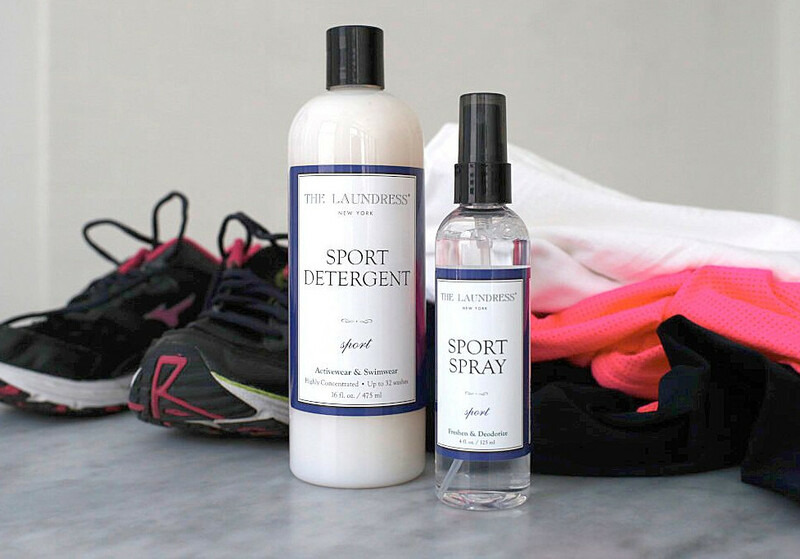 Apply The Laundress Stain Solution and The Laundress All-Purpose Bleach Alternative directly to stains, underarms, and other susceptible areas. 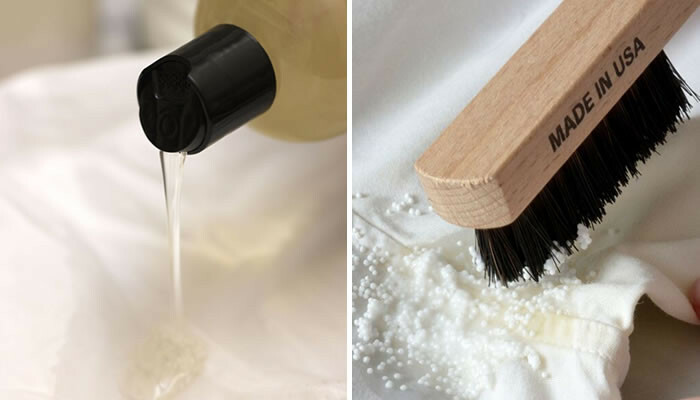 Pour hot water onto the mixture to create a powerful paste, and work into the fabric with The Laundress Stain Brush. Presoak in a bath of hot water and The Laundress All-Purpose Bleach Alternative to lift the stain. If the stain isn’t fully removed after one hour of soaking, don’t sweat it! Tough or set-in stains can take two to three tries before complete removal. Turn the item inside out and wash with the same or like colors only. 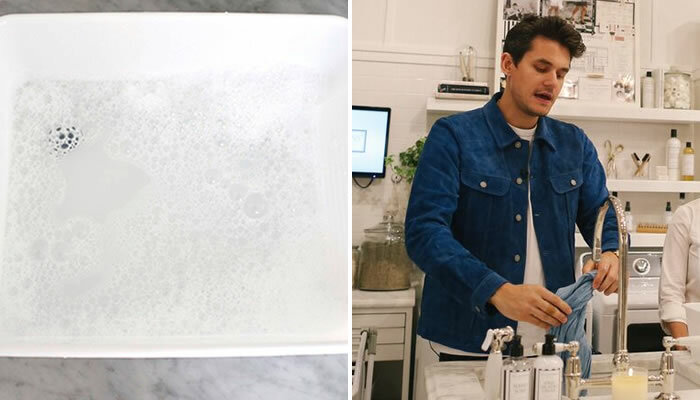 Add two capfuls or a squirt of The Laundress X John Mayer Laundry Detergent to a washbasin or sink filled with cool water. Submerge your item and gently agitate the water with your hand to evenly distribute soap and water. Allow the items to soak for up to 30 minutes. Run cool water through items until rinse water is no longer soapy. While we’ll let John’s wringing method slide, we recommend gently pressing the water out of your items between your hands or against the sink. Note: If there is color in the water, don’t worry! This is normal and it is simply the yarn releasing color. You will not notice any loss of color in the end. Lay the item flat in its natural shape on a drying rack or hang to dry. If hanging to dry like John, be sure to position the item properly on the hanger to prevent stretching. If you’re in dire need to be wrinkle-free, steam to remove wrinkles or use an iron set to the “steam” setting, hovering over the item – do not make contact. 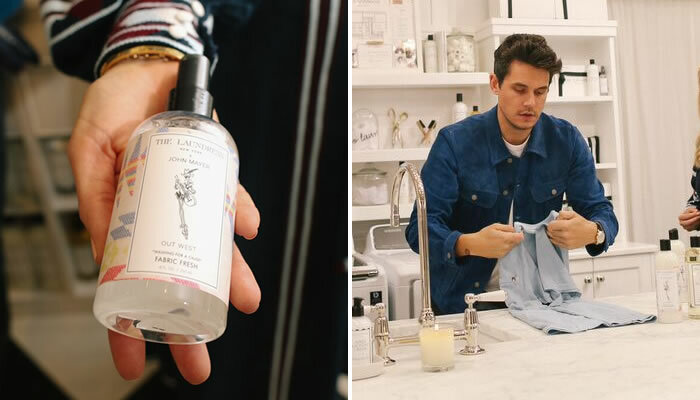 Stay fresh between washing and wearing with a spritz of The Laundress X John Mayer Fabric Fresh. It has antibacterial properties that add scent while removing odor. PLUS, it smells ah-mazing!